Dina Shenhav is preoccupied with the reciprocal relations between man and nature and with the complexity stemming from man’s status as both sovereign and subject in a variety of archaeological, ecological, political and social contexts. 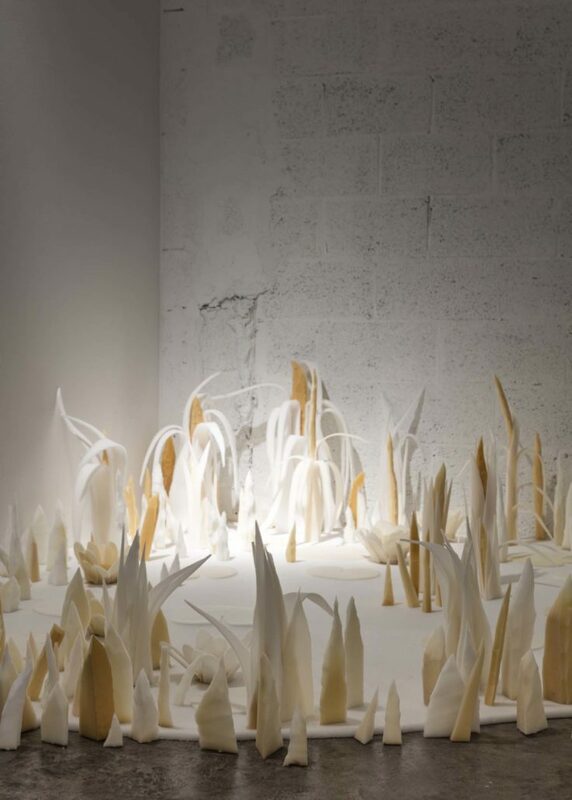 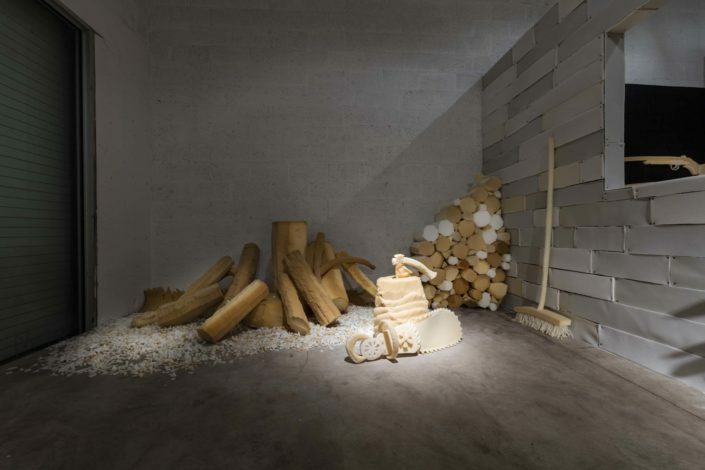 Known for creating immersive tableaux vivant-style installations, Israel-based Shenhav uses soft materials like ash or foam to sculpt powerful scenes of domestic and urban life and destruction. 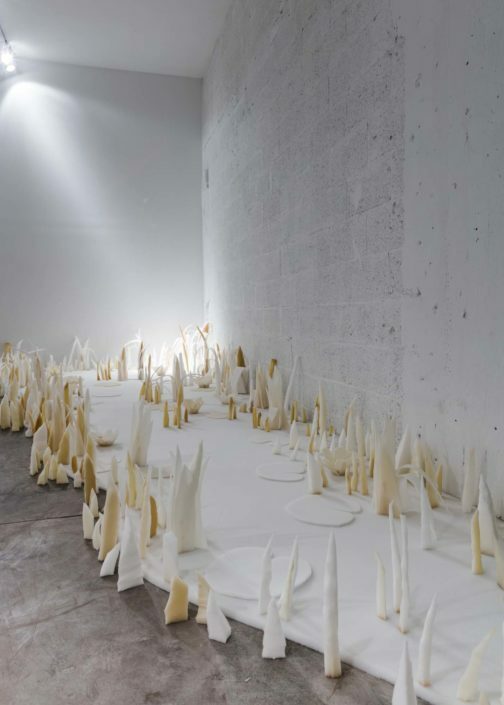 For the installation, D.O.A. 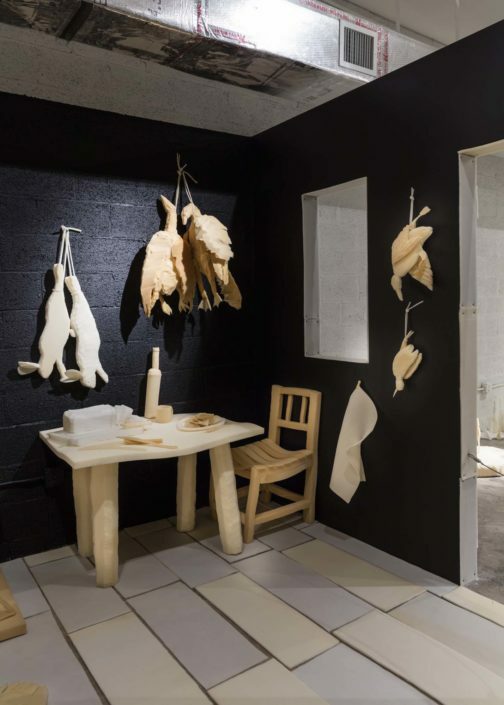 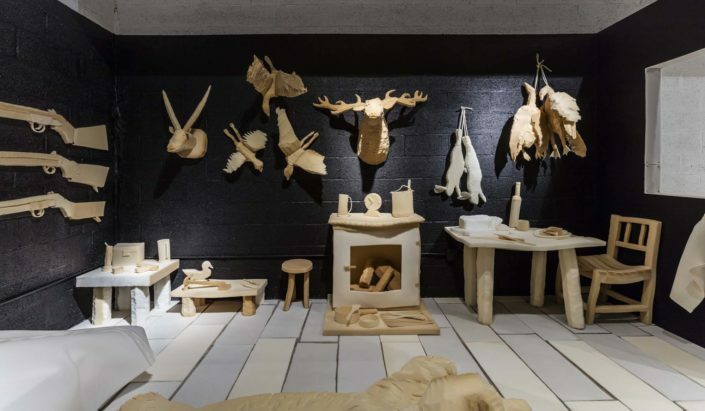 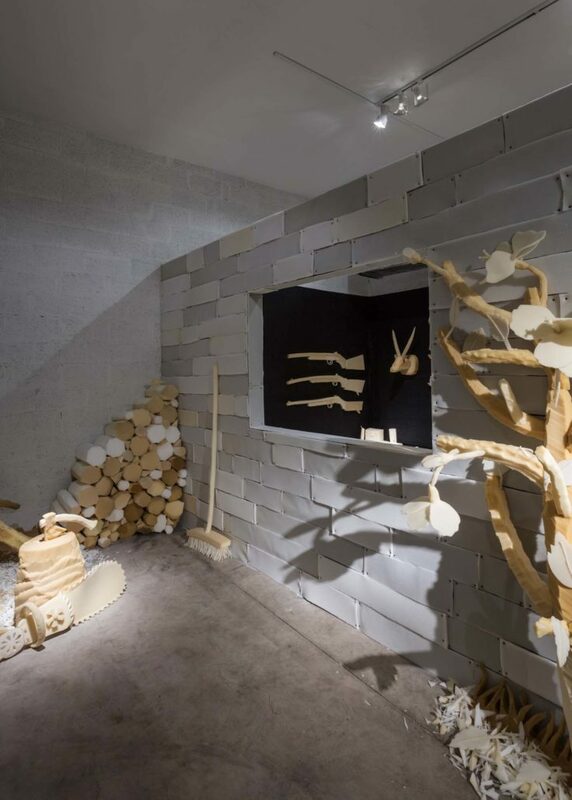 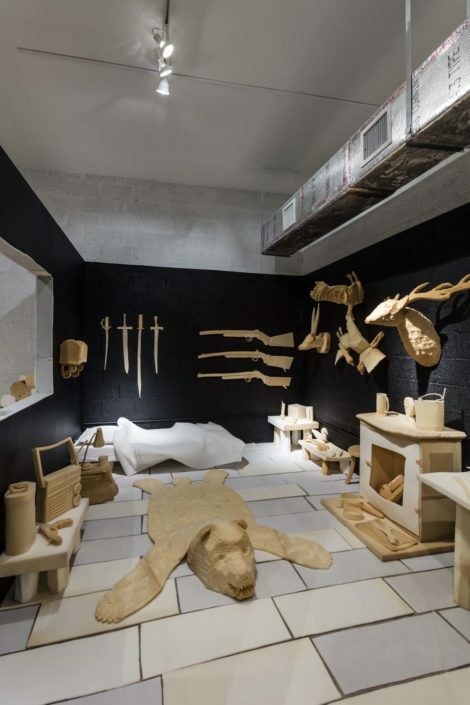 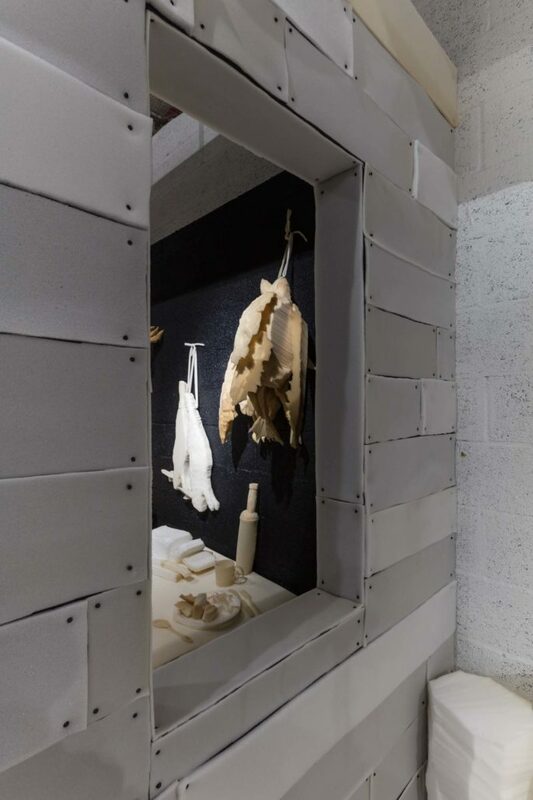 (Dead on Arrival), whose title is borrowed from the police jargon used to describe a murder scene, Shenhav meticulously recreates a hunter’s cabin, complete with all of the tools of his trade: rifles, knives, guns, tree stumps, ammunition, traps, taxidermy deer heads and fur pelts. 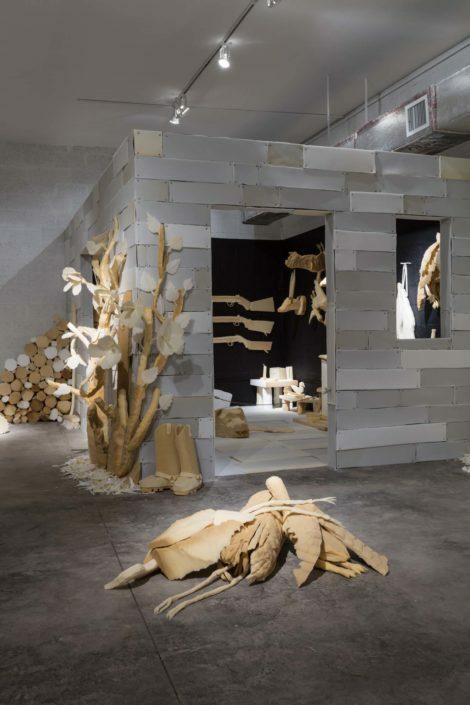 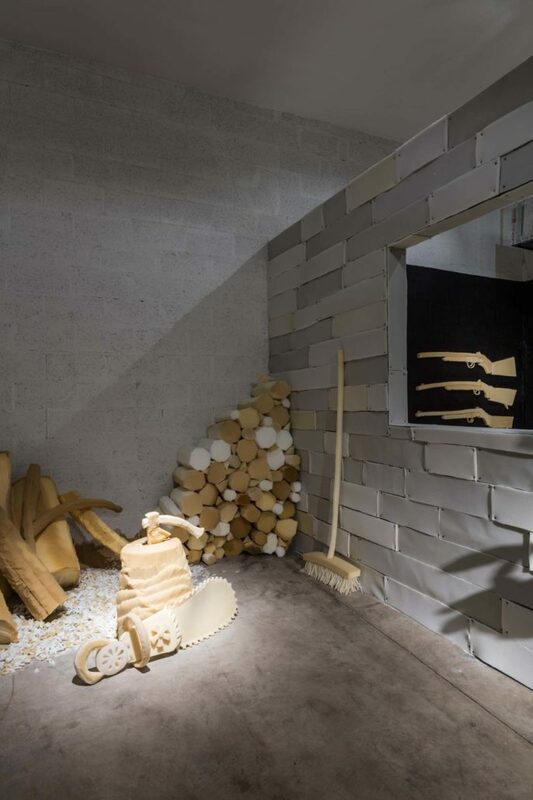 She sculpts each item individually using yellow mattress foam, and sets them within a meticulously detailed hunter’s shack crafted of the same material. Items from the hunter’s camp come together as an immersive environment, with every detail of his life and work—his boots, table, even the food on his plate—hand carved by the artist in the pliable yellow foam. 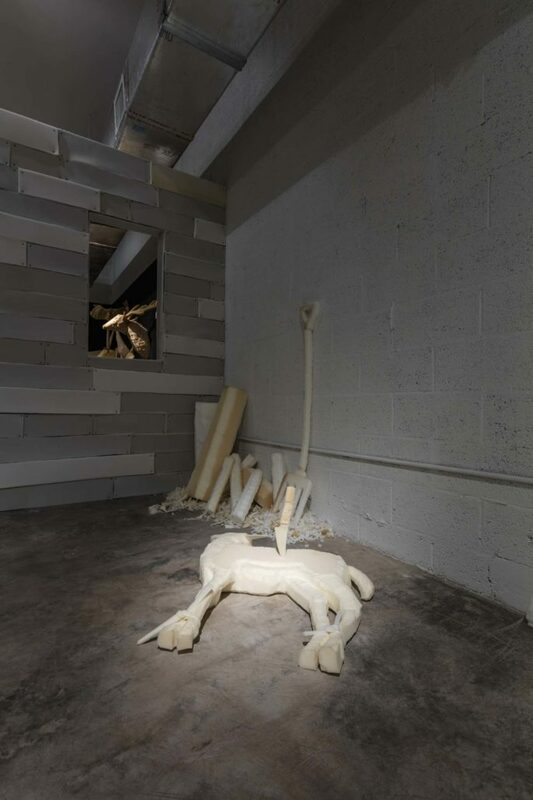 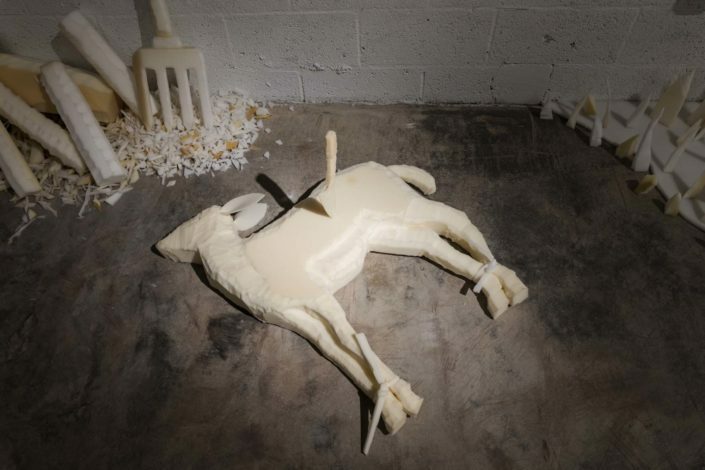 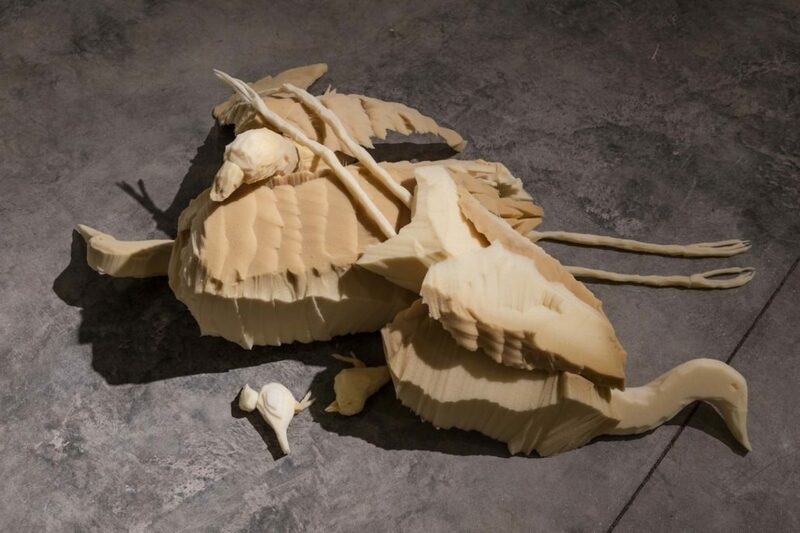 Shenhav transforms the soft mattress foam, typically associated with the domestic realm, creating imagery and subject matter that has to do with masculinity, war, combat, or for this specific show, the world of the hunter. Working in large-scale installations, video, photography and painting, she earned her BFA from Hamidrasha School of Art and her MFA in Haifa University. 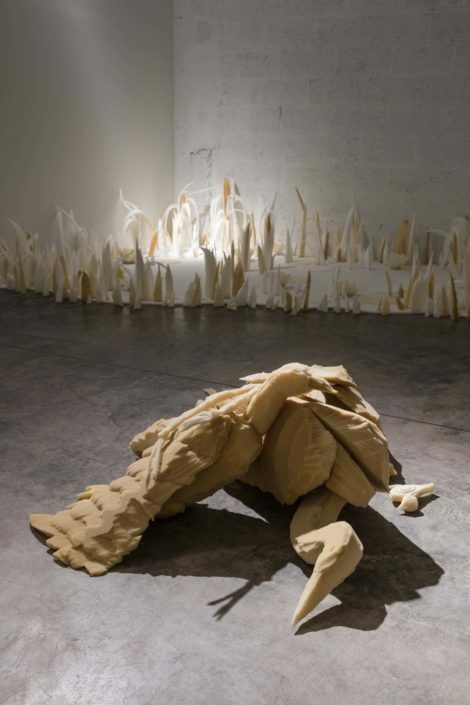 She has exhibited in over 20 solo exhibitions and participated in numerous group exhibitions worldwide, among them: Arte Laguna, Arsenal of Venice; Israel Museum, Jerusalem; Helena Rubinstein Pavilion, Tel Aviv Museum of Art; Herzliya Museum of Contemporary Art; Martin-Gropius-Bau, Berlin; Kunstlerhaus Bethanien, Berlin; Middle East Center for the Arts (MECA), Jersey City; Art in General, New York; and Goethe-Institut, St. Petersburg.